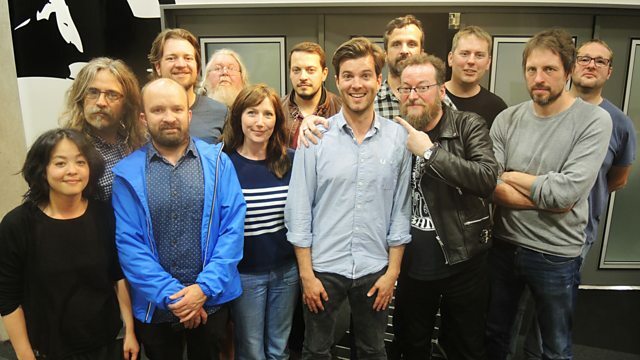 Tom Ravenscroft sits in for Marc Riley with a live session from the Earlies to mark the eleventh anniversary of their debut album, These Were the Earlies. The Earlies in session marking the 11th anniversary of debut album These Were The Earlies. The band also has a new single Abandon out too and are embarking on a short UK tour. The Earlies' core members are still split by the Atlantic with JM Lapham and Brandon Carr residing in Texas whilst Christian Madden and Giles Hatten call Lancashire home. So professional is this band that they make the distance a mere mole hill and are still coming out with some cracking tunes.